I guess things might not be going well for Airtel at the moment. According to reports, Airtel might be forced to close down operation in Nigeria and 15 other Africa countries where it currently operates. 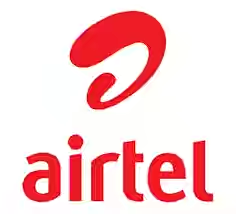 Airtel is the largest telecom operator in India and one of the largest in Nigeria and Africa as a whole. In the last quarter of 2016 alone, the company lost over $91 million dollars. In Kenya, Airtel has lost over N146,645,880,750 (Sh50 billion) in the period of 5years due to competition. At the moment over about half of Airtel staffs in Kenya has already been fired. The company has also sold its Sierra Leone and Burkina Faso operations, as well as some of its tower businesses, as it reorganizes assets it bought in 2010 in a $9 billion deal with Kuwait’s largest mobile-phone operator. "This process would be completed within a year and would affect some of Bharti’s businesses in 15 African nations in which Nigeria is not an exception." This is definitely not a good time for Airtel the company lost over $91 million in the last quarter of last year and this is not even up to the $170 million lost the previous year.